Anyone can learn a language with the Michel Thomas Method. Not only did Michel himself instruct the rich and famous, but he also taught many so-called ‘hopeless cases’. For example, in 1997 in a BBC documentary by Nigel Levy, Michel taught French to a group of sixteen-year-olds in north London who had been told they could never learn a language, and gave them the ability to use the new language far beyond their expectations – in just a week. Whatever your motivation for learning a language, the Michel Thomas Method quite simply offers the most effective method that is available. How long does it take to learn with the Michel Thomas Method? A knowledge of the language that will take months of conventional study can be achieved in a matter of weeks with the Michel Thomas Method. The teacher masterfully guides the student through an instructional process at a very rapid rate – yet the process will appear informal, relaxed and unhurried. The teacher moves quickly between numerous practice sessions, which all build the learners’ confidence in their ability to communicate in complex ways. Because the Michel Thomas Method is based on understanding, not memorization, there is no set limit to the length of time that you should study the course. As a general rule, it takes 3-4 hours to complete a Start course, 20-30 hours to complete a Foundation course, and 15-20 hours to complete an Intermediate course – but the courses are not divided into lessons, and you can stop and start as you please. What will I learn with the Michel Thomas Method courses? The Michel Thomas Method teaches the everyday conversational language that will allow you to communicate in a wide variety of situations, empowered by the ability to create your own sentences and use the language naturally, having absorbed the vocabulary and grammatical structures. Foundation, Language Builder and Intermediate courses form the Phase 1 foundation for all your learning. These courses focus on teaching verbs and verb tenses, which form the structure of the language. While you will learn a large amount of useful vocabulary, it is limited so as not to overburden your learning. Vocabulary and Insider’s, the Phase 2 courses, build on your foundation by increasing your vocabulary knowledge, and conversational fluency. What is the ‘classroom style’ and why is it important? The Michel Thomas courses are recorded in a classroom situation which takes the pressure away from you learning on your own. You enjoy the students’ success, and you learn from their mistakes. The students on the recordings are not reading from scripts and they have received no additional instruction or preparation – just the guidance you hear on the recording. You, as the learner, become the third student and participate actively in the class. You learn through your own language, so there’s no anxiety. How does an all-audio course in ‘real time’ work? The courses are recorded live in a studio with two real students. Each language is learned in ‘real-time’ conditions. There is no need to stop for homework, additional exercises or vocabulary memorization. The emphasis is on giving yourself time to think out responses to the teacher’s prompts; by thinking things through, you will be embedding the language in your brain in the way that research has shown to be the most effective way of transferring information to your long-term memory. How can I find out more about the Michel Thomas Method? You can learn more about his method in The Learning Revolution by Dr. Jonathan Solity. Michel Thomas was born Moniek Kroskof, the only son of a Jewish family who owned a textile factory in Poland in 1914. As a young boy, Michel was sent to live in Germany to escape the anti-Semitism directed at his family. Living in Vienna in 1938, when the Nazis annexed Austria, Michel was rendered stateless as a Jew. He fled the country for France, and when the Germans invaded he joined the French Resistance and adopted the name Michel Thomas. He spent two brutal years in French concentration and labour camps, narrowly avoiding being sent to Auschwitz. He escaped, surviving capture, interrogation by Klaus Barbie, and torture by the Gestapo. His mastery of languages enabled him to adopt many identities. At the end of the war, he masterminded operations to uncover war criminals and infiltrate underground Nazi groups. In 1944, Michel was nominated for the Silver Star medal for his service to the US Army’s 45th Infantry Division in France. The award was finally presented to him in May 2004, sixty years later. In 1947, he moved to Los Angeles and set up the Michel Thomas Language Centers, teaching languages for over fifty years in New York, Beverly Hills and London. 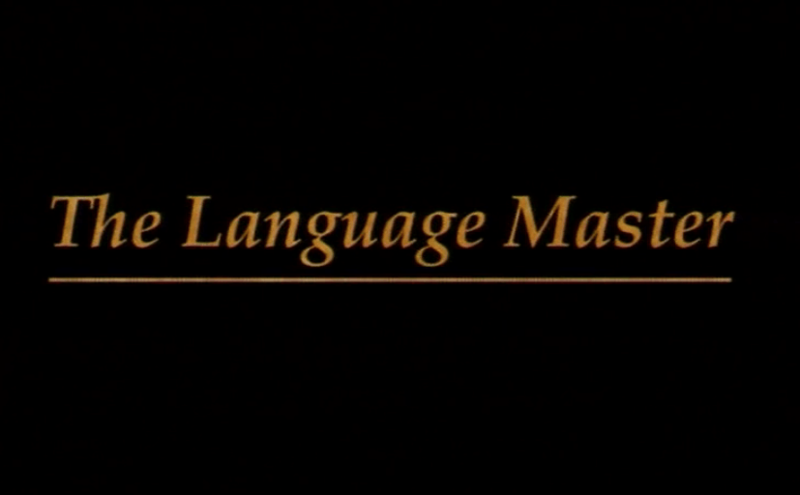 His extraordinary life and revolutionary teaching methods were documented in Nigel Levy’s film The Language Master, which brought Michel Thomas to a wider public in the UK and beyond for the first time. How can I find out more about Michel Thomas? There are a few biographies of the man, including Christopher Robbins’ Test of Courage and Dr Jonathan Solity’s The Learning Revolution. How do the Michel Thomas Method courses match up to the CEFR (Common European Framework of Reference)? The CEFR levels match up well to the Michel Thomas courses but for the listening and speaking skills only. CEFR levels recognized across Europe. The Start courses equate to A1, the Foundation courses equate to A2 (with some B1) and the Intermediate course equates to B1. It is a good grounding for A Level BUT reading and writing also needs to be learnt separately. Can I use the MTM courses to do a GCSE or A-Level? The Michel Thomas Method courses are a brilliant supplement to studying a language, as they can help the learner gain confidence in speaking and listening skills. However, the Michel Thomas Method courses do not follow a set curriculum, and therefore cannot be used as the sole study aid for a GCSE or equivalent qualification. If you wish to take a formal exam in a language, we would advise you to purchase a course that follows the curriculum of the qualification you wish to obtain. Do we offer one-on-one lessons using the Michel Thomas Method or training as an MTM teacher? As a publisher we only offer audio courses of the Michel Thomas Method, we do not offer personal tuition or training in the Method. Why doesn’t Michel Thomas teach on all the Michel Thomas Method courses? Michel Thomas’ legacy was such that even after his death in 2005, customers wanted more Michel Thomas courses and also wanted new courses in major world languages. Hodder & Stoughton – publishers of the Michel Thomas Method range – responded with a careful vetting of talented authors/teachers who dedicated themselves to mastering his method and adapting it to produce courses that authentically and carefully applied his methodology and made breakthroughs that Michel Thomas himself would have endorsed. Hodder Education editors and authors scrupulously oversaw each and every draft and subsequent recording sessions and the results are a testimony to the man and his method. I’ve lost my booklet, where can I get a new one? Every course has a free booklet. Simply go to the correct language, find the level and download the booklet. If you can’t find the booklet you are looking for on the page relating to the correct language then contact us using the form below and we will attempt to find it for you. Where can I try a free trial of the Method? Every course has a free lesson. Simply go to the language you want to learn, download the lesson and start learning today. Fill out and sign this form and send to Support.MichelThomas@hodder.co.uk within 14 days of us confirming your purchase and we will issue a refund within 14 days. What is the Michel Thomas Method Library app? The Michel Thomas Method Library app accompanies www.michelthomas.com. It allows users to download their website purchases, booklets or free lessons into the app for offline learning on the go. It is available for iOS here and android here. Purchases are not possible within this app.